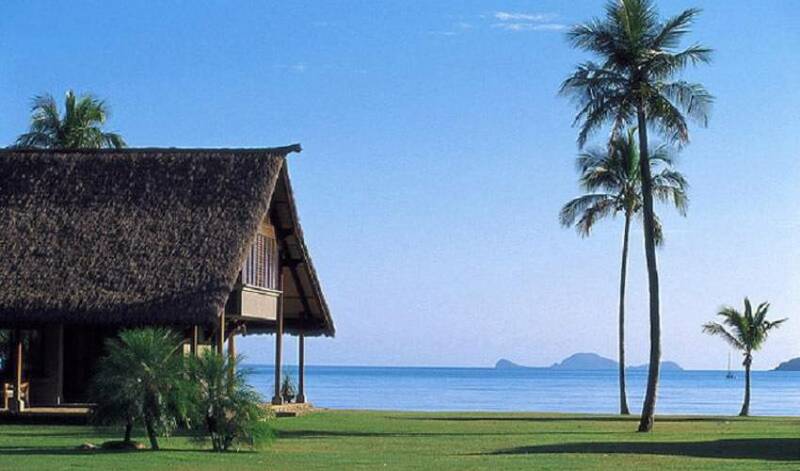 Set back in a crescent of tropical forest, the Dream House looks east across the bay and beyond to the wings of the distant Double Cone Island. Inside cool limestone floors form steps to a king-size bed where the view is best appreciated. Behind, a beautiful glass-tiled bathroom and a pebble-lined shower that looks through frameless glass into a private bamboo garden. 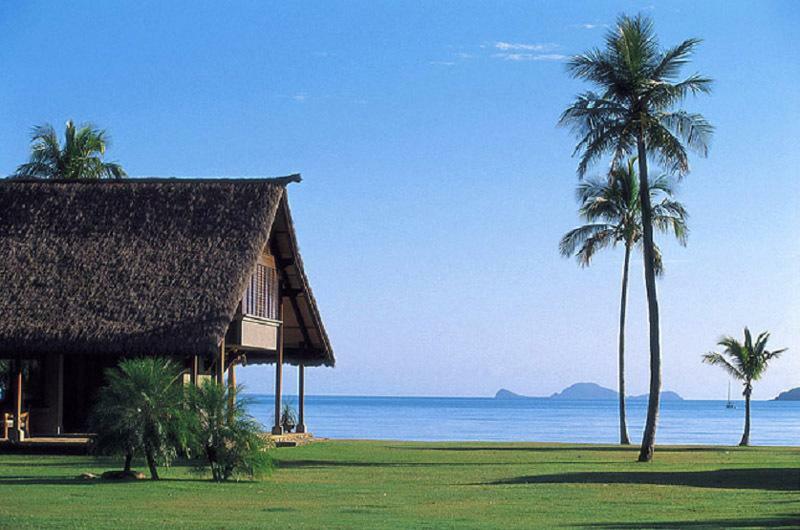 The heart of the bay area - a beautiful, thatched, high-gabled communal house that commands stunning views of the bay. This is the place where guests gather - on the deep paved verandahs looking seaward, in the dining room, or on deep couches inside - to begin and recall the events of the day. Two hide-away rooms nestle into the ends of the roof. Two bedrooms are separated by a galley kitchen that opens onto the lawns bordering the bay. Niches, aquatic fossils and the warm patterned glow of lamps. In one room a golden ladder made from baby ironbark trunks leads to a magical playloft. The master bedroom with king-size bed, ensuite and walk-in robe catches every sublime breeze from windows facing north and east. Adjoining is a bathroom pavilion tiled with white river pebbles...an outdoor bath set in a tropical garden and a shower room for two. Swing in the verandah hammock, or recline side by side in the nearby bathhouse screened by a palm forest, and look out on the bay. Aqua blue walls inside reflect the colour of the Whitsunday water. 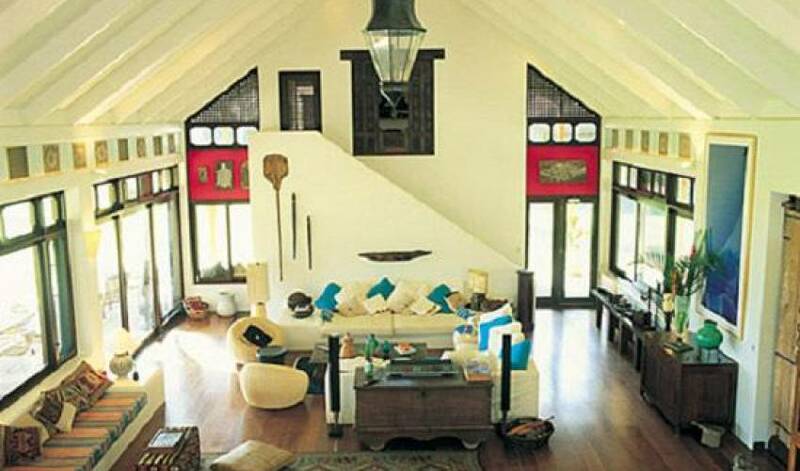 Filled with symbols of the sea like the beautiful antique bamboo rod on the wall, this is a Fisherman's hut deluxe. 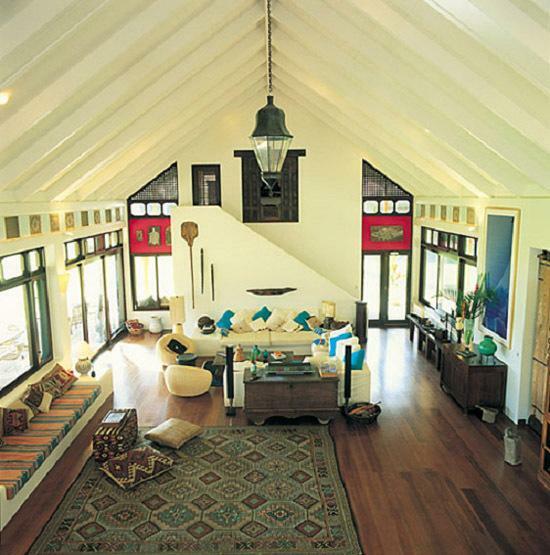 Two huts joined by a wide raised deck... draped with tropical vines... looking over the lawns and gardens to the bay. Inside silk and suede and lace and tales from distant lands. Perfect for a family or two couples. Over a bridge in a glade by the beach, the honeymoon hut is close by yet secluded. A Timber walkway leads to a Bathhouse that hugs the trunk of a silver gumtree. Two baths side by side, shower and vanity that look into the forest. 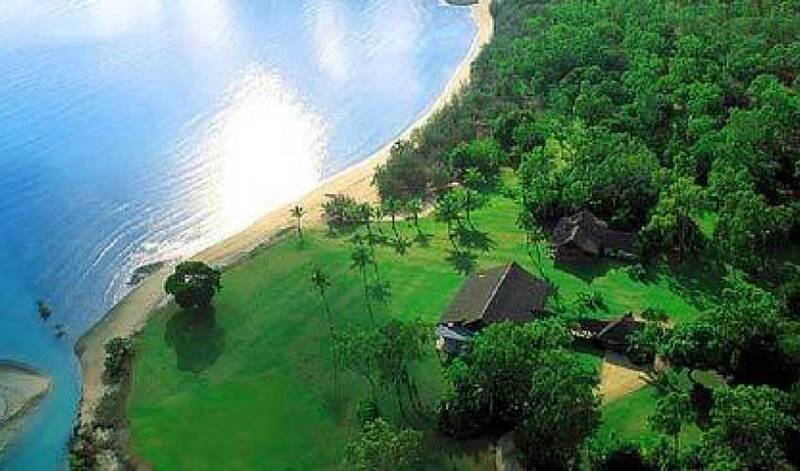 Walk across the front lawn to the sand and sea. With no-one around, one can swim, sail, canoe and windsurf in the crystal waters of a private beach where dolphins and turtles often come to observe. With no-one around, one can venture up the mountain to a small hideaway picnic hut where the beauty of the Whitsunday Islands are dazzlingly revealed. With no-one around, one can adventure to the private lake where waterskiing and jetskiing can be indulged on the surface of unrippled waters. Fish abound for even the most inexperienced angler. With no-one around, one can jump onto the quad bikes and tour over 100km of private roads - enjoying mountains and fields and vistas like no other. Arrive at a secluded meditation tower overlooking fields and water, where one can sink onto the massage beds and be pampered amidst the colours of a setting sun. A moonlit walk on a silent beach completes a perfect day. * Provided by local companies at additional charge. 24 hours notice is needed to book. 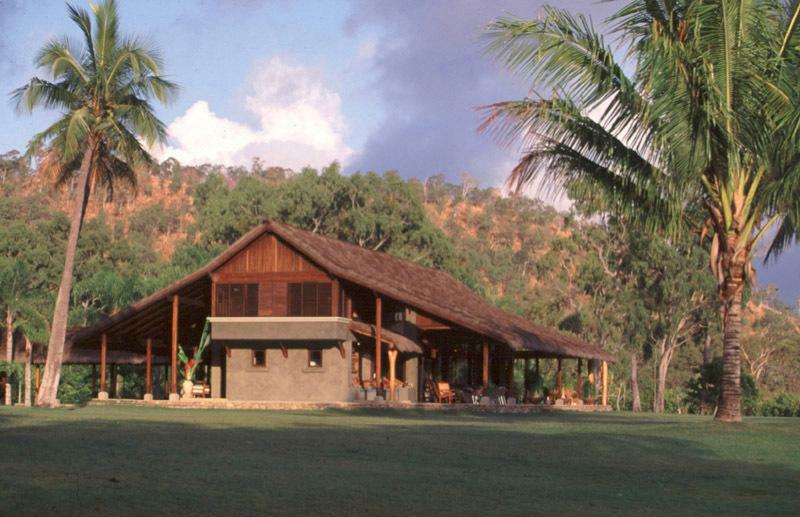 The property boasts more than 1300 hectares of untouched spectacular beauty: Secluded but not isolated. 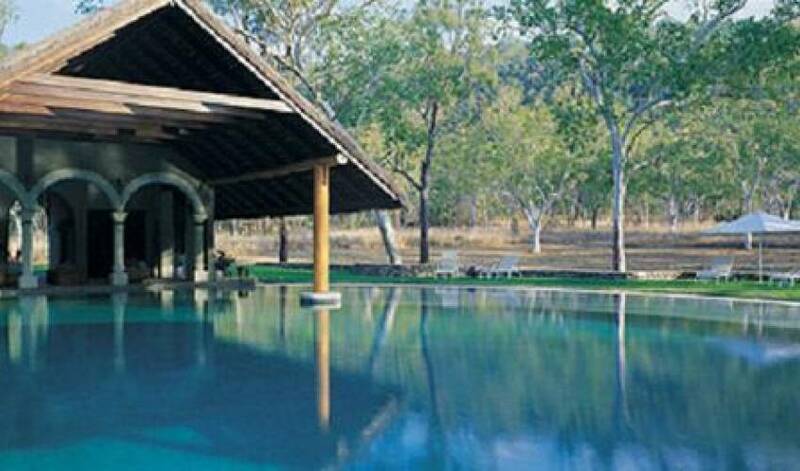 Surrounded by National Parks, sheltered by a range of hills and long peninsulas, fronting a long eastern shoreline, Australia Villa 516's topography is coastal plain, high ridges, valleys, rainforest and fresh waterways. 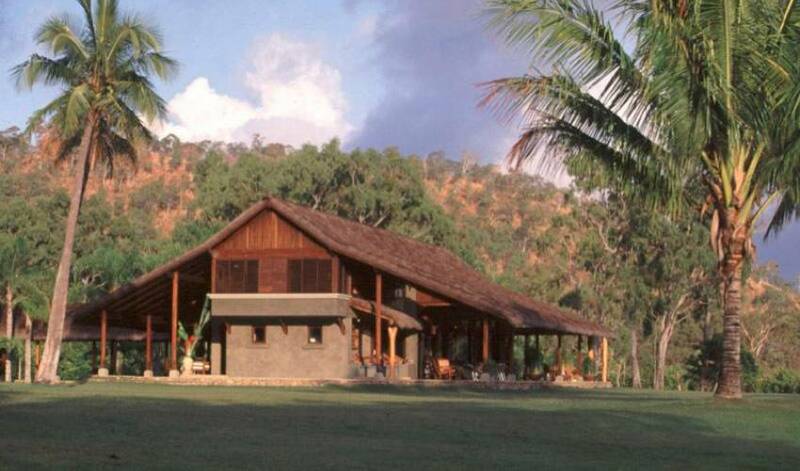 In the midst of the Whitsundays on the edge of the Great Barrier Reef, the property is an oasis in the heart of Queensland's top tourism destinations. 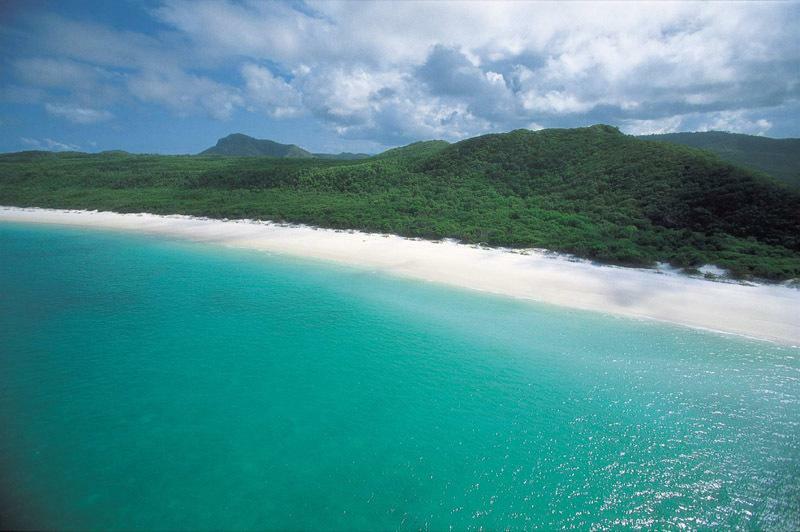 Qantas flies from Sydney direct to Hamilton Island or Prosperine. Flight time from Sydney is about 2 hrs. A private jet charter can be arranged if required. 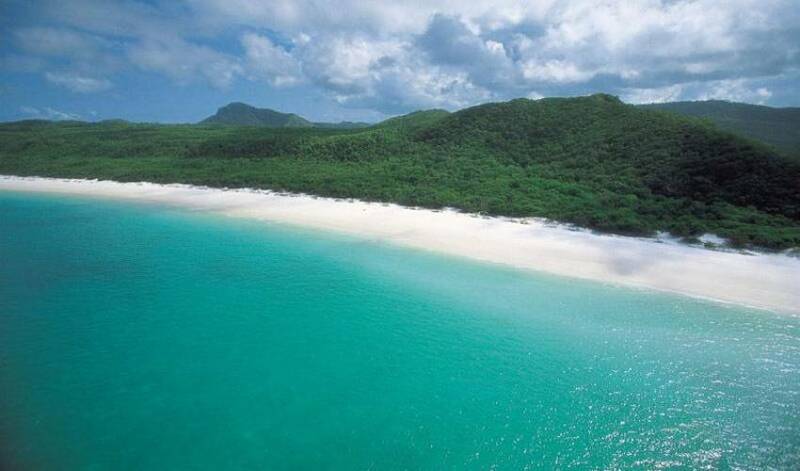 From Hamilton Island: Enjoy the ten minute scenic flight from Hamilton Island to Shute Harbour. 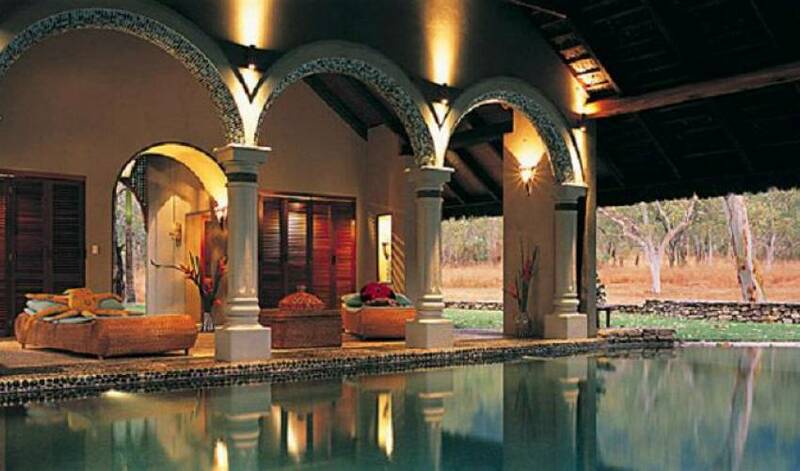 Then a 20 min drive through Airlie Beach to Australia Villa 516. From Prosperpine: Australia Villa 516 is approximately 25 minutes drive from Prosperine airport. The cooling trade winds brushing through the region help keep the temperature stable throughout the year. The average maximum daytime temperature out on the water is 30 -31 degrees during the summer months, 26-29 during autumn, 24-25 in winter and 26- 31 in spring. July is the coolest month, January the warmest. For many winter is the perfect time of the year for the sub-tropics. The days are warm and the nights crisp and cool. You may need to pack a light-weight tracksuit or wind jacket to put over your swimsuit.